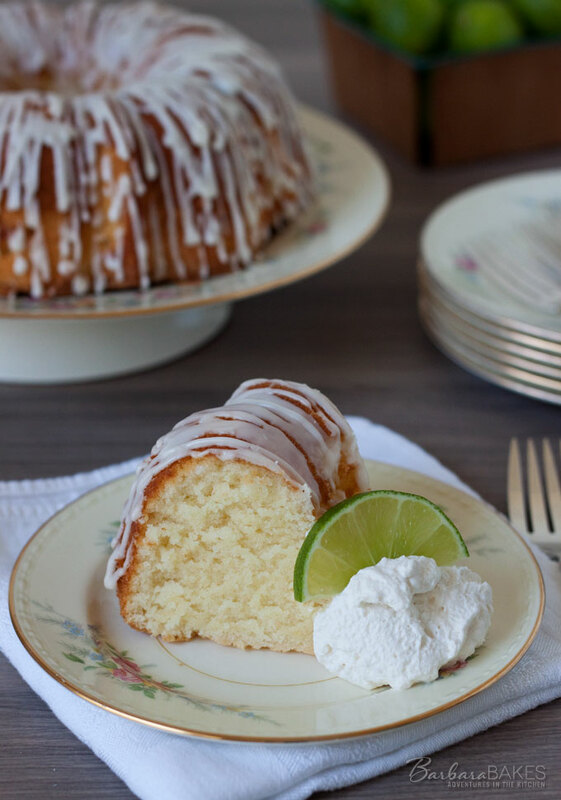 A sweet, moist, dense key lime pound cake drizzled with a tart key lime glaze. 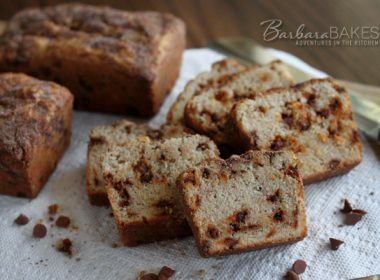 A delicious Southern twist to a traditional pound cake. 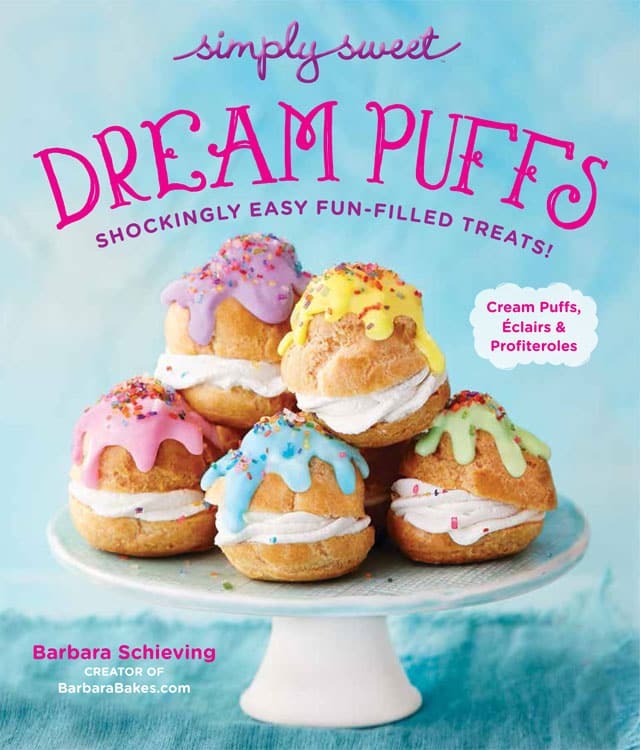 This recipe I originally shared as part of a virtual progressive dinner – of course I brought the dessert. 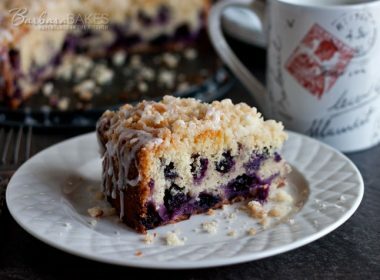 This cake has become one of my most popular cake recipes and if you missed it the first time around, you’ll definitely want to give it a try. 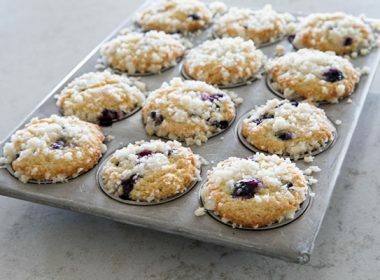 The recipe uses both butter and shortening in the batter. I thought about changing the recipe and using all butter, but decided not to because shortening creates higher, lighter-textured baked goods, while the butter adds great flavor. So I knew a combination would give me the best of both worlds. When I’m baking with shortening I love using the Crisco Baking Sticks. It makes measuring shortening so much easier. My cakes stuck to the pan little bit, so I used my thin, flexible icing spatula to loosen the edges. They looked a little ragged when I took them out of the pan, but after adding the glaze, they were gorgeous – so don’t be discourage if your cakes are perfect. I did however, make several changes to the recipe, including adjusting it for my high altitude, and baking it in two half sized bundt pans instead of a 12 cup tube pan. Unless I’m serving a crowd, I prefer two small bundts so I can serve one now and put one in the freezer for later. 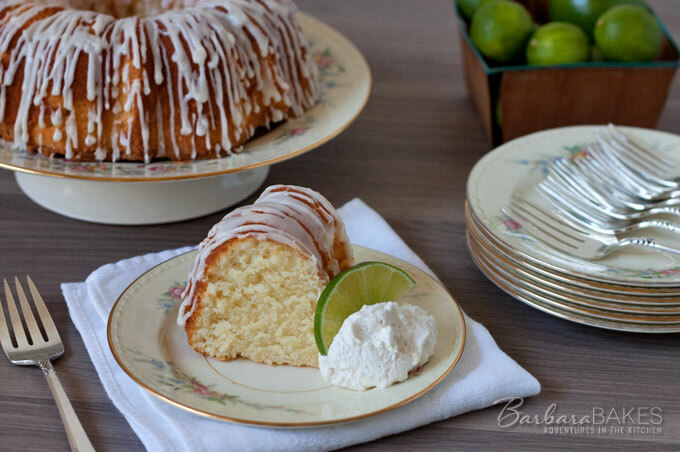 The cake has a mild key lime flavor, but the tart glaze gives it a great burst of lime flavor. It’s a sweet, moist pound cake, but not quite as dense as most pound cakes, which made it feel like you’re eating a little lighter. I served the cake the way they served it on Southern Living with a dollop of whipped cream and a slice of lime. Preheat oven to 325°. In a mixing bowl, whisk together flour, baking powder, and salt; set aside. In the bowl of a stand mixer, beat butter and shortening at medium speed until creamy. Gradually add sugar, beating until light and fluffy. Add eggs, 1 at a time, beating just until blended. Add flour mixture to butter mixture alternating with milk, beginning and ending with flour mixture. Beat at low speed just until blended after each addition. Bake for 1 hour and 15 minutes to 1 hour and 20 minutes or until a long wooden pick inserted in center comes out clean. 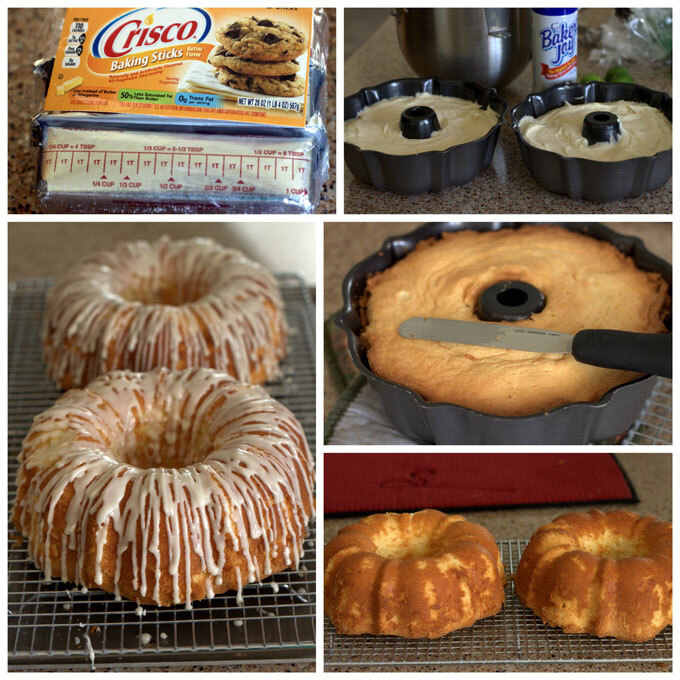 (Bake half size Bundts for 50–55 minutes.) Cool in pan on a wire rack 10 to 15 minutes; remove from pan to wire rack. Prepare Key Lime Glaze by whisking together powdered sugar, 3 tablespoons fresh Key lime juice, and 1/2 teaspoon vanilla until smooth. 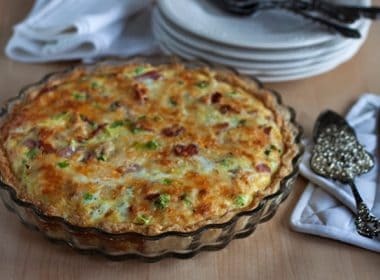 Immediately brush or drizzle over top and sides of cake. Cool completely before serving. *I used 2 3/4 cups sugar and 1/4 teaspoon baking powder to adjust for my high altitude. Lana from Never Enough Thyme chose the theme Summer in the South. Lana said one of the best online resources for Southern recipes is the Southern Living web site. 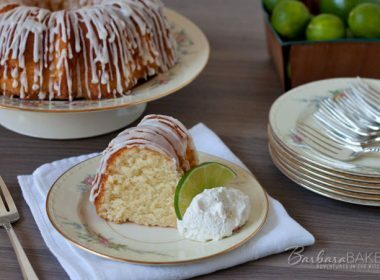 There were so many great recipes it was hard to narrow it down, but the luscious key lime pound cake recipe looked too irresistible not to try it. i love trying new recipes an i can’t wait to try this recipe, thanks so much for sharing your recipe. This is easily the most moist cake I’ve ever made! It has a lovely flavor with a dense base. Most poundcakes I’ve made have had a too dense texture . I give it rave reviews! Do you think I could substitute coconut oil in solid form for the shortening? Can’t wait to try it! Hi Robyn – yes, I think that would work well. Recipe is excellent. Whether be with something else to replace shortening? Thanks! I would substitute butter for the shortening. KEYLIME IS MY FAVORITE FLAVOR. I CAN NOT WAIT TO TRY THIS RECEIPE. Does using a gas oven make a difference in cook times? Hi Kim – not that I’m aware of. can you use regular lime if you don’t have key limes? I made this cake following the directions. I used a regular pound cake pan.My concern is the lime juice settled in the bottom of the cake. The cake was completely cooked. EVERYONE LOVED THE TASTE AND TEXTURE. HOWEVER, I am concerned about the settling off THE Lime Juice at the bottom.I am planning on baking another one for a Birthday Gift. Hi Estraleta – So glad everyone loved it. I think just mixing the lime juice in better so it doesn’t separate. It should be fully incorporate in the cake batter. I’d love this for my birthday too. Hello Mrs. Barbara, I would like to know if I can substitute the flour for cake flour? Hi Olivia – I haven’t tried it, but I think you could substitute cake flour. It would probably make the cake a little bit lighter. Can’t wait to try this- I love key limes and fortunately they have Nellie & Joes at my local Safeway. and thanks for the high altitude directions! We are at about 6500 ft. here in Lake Tahoe, CA. I made this pound cake for a community bake sale at my son’s high school. I sold it by the slice. It sold in minutes, literally. It is an awesome recipe. I had one person come and buy a second piece. He said it was the best he’s ever tasted. It was moist and full of flavor. I’d bake this one again in a heartbeat! 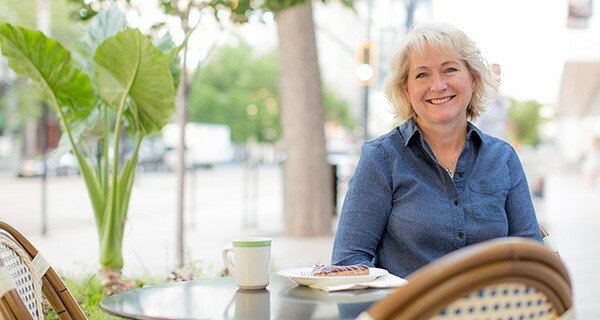 Thanks Terri – I’m so glad it was a hit at the bake sale! Hi Georgette – I haven’t tried it, but I think it would freeze beautifully. Hi Keyanna – about 8 servings per cake. I don’t really like to use shortening so could I just use all butter? You can use all butter, but shortening does make the cake a bit lighter and fluffier. Hi Shaheda – Shortening is a type of solid fat that is made from vegetable oils. Check around to find Nellie & Joe’s Famous Lime Juice in a bottle that way you don’t need to squeeze the little limes which don’t have much juice!!!! This is absolutely gorgeous. I would be hard pressed to share with my family.